PhotoAcute Studio 2.12 by Almalence, Inc.
PhotoAcute Studio improves the quality of photos taken with digital cameras and camera phones. It increases resolution, reduces noise, removes chromatic aberrations and vignetting, and corrects brightness of overexposed and underexposed parts of the picture. PhotoAcute Studio processes sets of photographs taken in &quot;continuous mode&quot;. RAW and 16-bit color support. 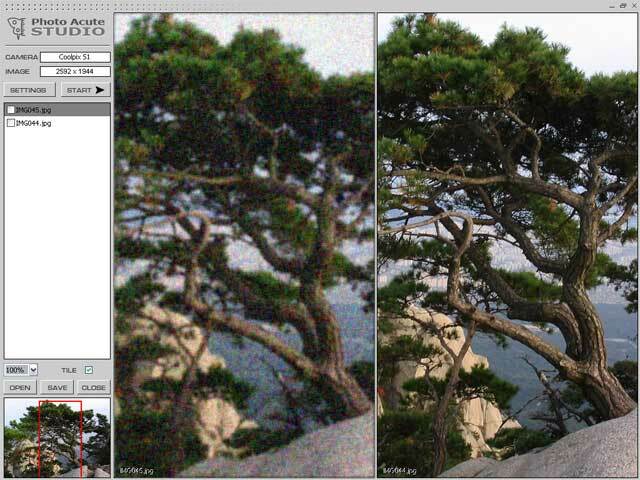 Time-unlimited free trial mode allows evaluation of all image processing features. Ncesoft Book Maker is the best flip book software, helps you to create 3d book.